Digital dictation is a method of recording, editing and transcribing audio messages in real time through a scribe or medical transcriptionist (MT). Technology has evolved so fast that we can easily look back to the not-so-long ago past of transcription. A time when doctors talked into tape recorders and handed them off to their in-house MTs. If we look back just a little further, we can remember when doctors would scribble illegible notes on their visits. Filled with “medical abbreviations”, and hand those off to their scribes in order to update the medical records. However throughout the evolution of methods, there has always been the same end goal. That is: physicians need to provide clear and concise charts for their patients medical records. The growing issue however, is that with greater regulation on what is being documented. To a degree, physicians are using a lot of their time upkeeping records and not focusing on their patients. A doctor or physician speaks into an electronic device linked to a medical transcriptionist (MT). The transcriptionist then types each word into a document or directly into the EMR system. The physician can then review the document, sign it and authorize it as an accurate chart record. With the coming of age of speech recognition software, many thought that medical transcriptionists would be history. Instead we discovered the irreplaceable need for human transcriptionists. Unlike a computer, only a human can understand the intent, nuances and patterns of speech. Medical Transcriptionists are key players in the quality of entries into an EMR system. It’s important that, like physicians, they have special training and experience in order to perform as efficiently as possible. No longer are medical transcriptionists only responsible for copying notes written by physicians into patient records. Now MTs need to be familiar with the dictation files, patterns of speech, and any nuances a clinician might have. In other words, transcriptionists must understand for meaning, instead of simply words. Because of this high-quality training, medical transcription is often outsourced to dedicated off-site teams. 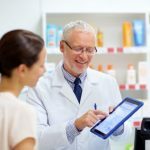 This makes technology imperative in order to align the physician’s intent and transcriptionist’s documents for a quick turnaround. 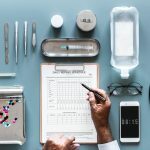 With technology, professionally trained healthcare documentation specialists can type into computer-generated healthcare reports and understand intent for quality and accuracy. It’s been proven that multitasking is an ineffective way to produce quality or even quantity work. At least not to the caliber focusing on the task at hand produces. So it’s not realistic that doctors and physicians are able to efficiently help their patients while simultaneously trying to balance the upkeep of their charts and documents. Working on the heavy paperwork between patient appointments can very quickly backup, leading to working late hours. Even with a voice recognition system, many physicians find the unsophistication of the technology to lead to long hours of formatting, typing and editing the dictation file. The combination of technology and medical transcription has proven to save doctors time and headache with their documentation. Their personal MT is assigned to just one physician (so he or she understands the specific physician’s nuances and idiosyncrasies), is human (so he or she understands intent) and is highly trained in the EMR technology and industry (for efficiency and fast turnaround). As we mentioned earlier, the standards for the medical industry in terms of the documentation process have become increasingly high–including HIPAA compliance. 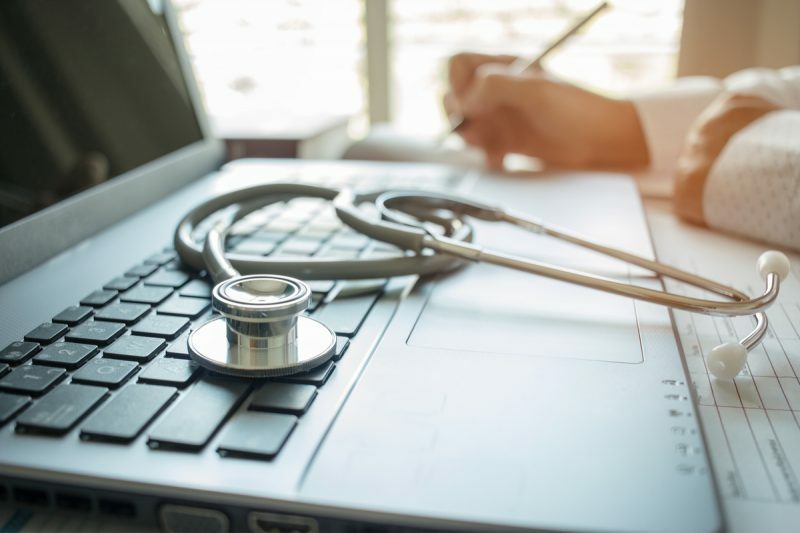 In order to standardize the documentation process, mandated electronic medical records (EMR) systems have become staples in many medical practices. EMRs are able to interface directly with transcription platforms that are lead by MTs who are highly trained in EMR templates. Starting in 2011, doctors and hospitals even received $28 billion in federal stimulus money as an incentive to install and “use EMR systems meaningfully”. They just had to attest that they were using them to meaningfully improve patient care last year or they would lose some of their Medicare payments. Medical Transcriptionists have changed with the evolution of the medical industry and have perfected the art of digital dictation in order to provide physicians with a much-needed solution to time constraints in the office. They have more precisely than ever documented patients’ experiences in the medical industry. Sure, in an industry of predictable language, speech recognition would be suitable, but for the difficult and unpredictable records needed for the medical industry, it is an indubitable fact that specialized, highly-skilled transcriptionists are the only solution. If your practice is having any issues with your current medical transcription service, it might be time to evaluate other options. EMRs are supposed to make things easier and faster for physicians, administrative personnel, and patients. Digital records allow doctors to exchange information about patients they share, which would improve quality and avoid duplication of tests and procedures–saving time for your practice. Learn more about the difference human transcriptionists can make in your practice’s digital dictation in our eBook, Power Of Intent: Why Words Matter in Medical Transcription.